In December, Epic Games creative boss Cliff Bleszinski said Gears of War 3 would feature unlockables that fans can acquire by playing other Epic games, such as the first two Gears of War. 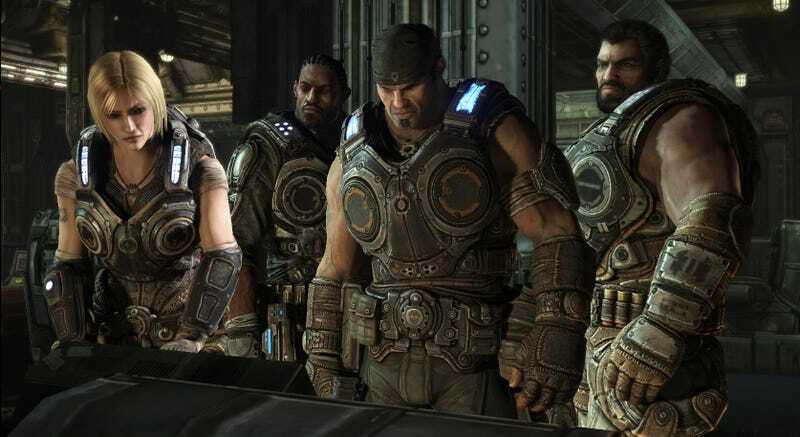 Yesterday, Gears 3's executive producer let slip what some of them will be. "If you did something in 'Gears' PC you get a chrome skin, if you did something in 'Gears 2' you get a chrome skin," Rod Fergusson told MTV Multiplayer. "The chrome set is sort of our thank-you to people who played our games in the past." Don't worry, that's not all the game is offering. Fergusson said there are more weapon skins tied to historical achievements. For example, "Two of the weapon skins are based on historical weapon skins, so if you want the gold lancer and the gold hammerburst in 'Gears 3,' you get them by owning the gold hammerburst and the gold lancer in 'Gears 2,' so those skins transfer over," he said. The unlock system is based on achievements, Fergusson said. Again we're talking skins here, not anything that delivers a competitive advantage. There's a more detailed explanation at the link.